For too long gambling has been rigged in favor of the house, numerous attempts have been made to create a “fair casino” is TrueGame the one that could finally make it happen? If there’s one truth in gambling its that the house always wins. Online casinos and their brick and mortar equivalents have been pulling in gamblers for decades but its always been impossible to prove that the games on offer are actually fair. Most Casinos have some level of house advantage and take a cut on top of that. The biggest problem is that these traditional casinos have is that it is impossible for users to verify the chances they have of winning. Blockchain technology is trying to change that. How can blockchain technology make gambling fair? One of the earliest real world applications for blockchain technology was creating a “fair casino”. This doesn’t necessarily mean a casino where the house has no advantage but rather a casino where the user knows exactly what their chance of winning is. This is possible thanks to something called smart contracts. A smart contract is programmable contract that works on an if/then basis, for example if a player correctly bets red in roulette then the contract will execute and he will be paid immediately. Smart Contracts neatly solve two of the main problems associated with cryptocurrency gambling; no third party provider is involved in processing payments so nothing can be tampered with and it is impossible for the casino to either run away with the funds or alter the terms of the game because everything is transparent and open to scrutiny. These smart contracts help to reduce the costs associated with running a casino. Many smaller online and physical casinos make money either through odds that favor the house or by taking a higher “rake” from bets. This is bad for gamblers and means that in general the house always wins, regardless of what you do. 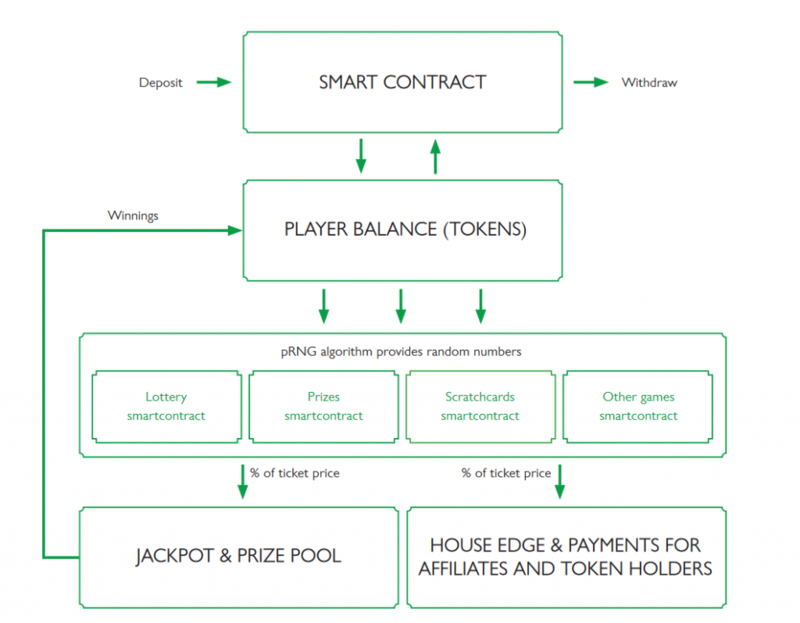 A smart contract casino is able to reduce the costs associated with handling and demonstrate that they are offering players a fair chance to compete. The house still makes money because of the gambler’s ruin phenomenon, or a player with finite funds losing to a player with infinite funds (the house) in a 50/50 game. Smart contracts helped to legitimize online gambling and Edgeless Casino was the first cryptocurrency casino to acquire a gambling license. These blockchain based casinos represent a huge change in a traditionally shady space and finally offer gamblers some level of certainty that they are not being scammed but are involved in a fair practice system. How do Blockchain Casinos work? There have been a number of attempts to create online casinos using blockchain technology. One of the earliest attempts at creating a “fair” casino was Edgeless Casino. This was the first example of an online Casino powered by Ethereum smart contracts. The main selling point of Edgeless Casino was that it provided gamblers with a “50%” chance to win their games. This is slightly incorrect as the house has a marginal edge of 0.83% on blackjack and video poker and 0.05% on their micro dice game. That being said these are very low edges compared to traditional online casinos where the house edge can be as high as 10%. The platform also offers a sports betting and a monthly lottery called the “edgeless lounge”. Edgeless Casino is interesting because it represents the first attempt to create a provably fair casino. In order to ensure randomness the platform combined two random seeds, one from the client and one from the casino. For example blackjack users can provide their own number seed or get a random seed from random.org or the Mozilla crypto library generated randomness. The client’s seed is used alongside the casino’s seed to ensure that the shuffling process is fair and both numbers are blended into a random number. 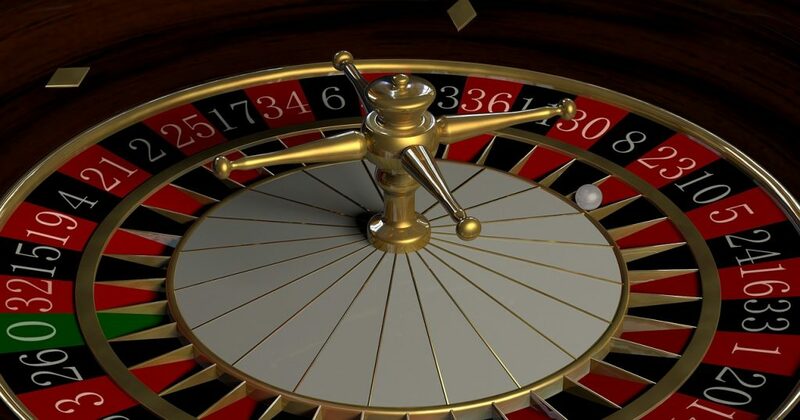 This means that even if the casino attempted to rig its own number generator the final outcome will still depend on the seed that the player provides. Like Edgeless Casino Truegame is powered by ERC20 and uses blockchain technology to bring some transparency to the gambling industry. It also builds on the ideas that Edgeless Casino created in order to provide players with a greater variety of games and it even allows users to withdraw and deposit funds using fiat currency, making it more accessible to users who may be concerned about using cryptocurrency. Truegame has not yet started its token sale but unlike many other initial coin offerings the team already has a fully functioning product. The Truegame platform also takes care to ensure that the results of games are visible without revealing the identity of their users. The entire source code is available on Github. How does Truegame solve the problems with online gambling? Blockchain technology is all about solving problems and Truegame is hoping to build on the foundation laid by its predecessors to create a fair and easily accessible blockchain solution to the online gambling problem. The first problem with many blockchain casinos is ease of access. While more and more people are learning to navigate the slightly confusing world of cryptocurrency many are still put off by the technical difficulties of acquiring and storing cryptocurrency. Truegame gets around this barrier to entry by allowing users to top up their accounts using ordinary credit cards or other payment options like Neteller or Skrill. They will also allow users to withdraw funds directly to their bank account rather than just their Ether wallet. Truegame also take the unique step of ensuring that all of their games are not just reskins of existing online games but built from the ground up and optimized to function on mobile devices. This solution will allow them to build a collection of unique games once they have collected the funds from their ICO. They already have already created a number of unique offerings. Specifically their crypto scratch cards. These are a form of instant lottery powered by smart contracts that have proven highly popular with users. On average each user plays 10-20 cards a session and they have already created a number of different themes that users can use. They have also created the unique option of a prize draw. Each user is able to bet a certain amount on a prize, for example a straight cash prize or the latest smartphone. Once the number of bets required (value of product + house edge) have been placed then the prize is randomly drawn and the lucky user receives the equivalent of the prize value straight their account. There is also the option to have the prize delivered to your home address. This offering is interesting because it encourages users to bet higher amounts to ensure that there are less “tickets” in the pool to increase their chance of winning. Another important focus of Truegame is transparency. The entire project is designed to be as opaque as possible so that users will be able to confirm everything the casino tells them. This is important because it will allow users to verify that the house actually has the necessary funds to pay out any winnings. This is important because it provides a level of reassurance to users that can’t be matched by the majority of online casinos. Is Truegame a good investment opportunity? Truegame is an interesting ICO option because they already have a proven product with an active community. They have also already acquired a gambling license and have a selection of games including prize draws, scratch cards, and a lottery. This is important because it shows that the company already has a proven record and should be able to deliver on their promises. They are also targeting a highly lucrative sector. The online gambling market is estimated to be worth $81.71 billion by 2020 and mobile gambling market is predicted to grow at a CAGR of 18.84% between 2017-2021. The market is mostly focused in Europe and Asia and is highly segmented. Truegame will hope that a blockchain solution should provide enough transparency to encourage users around the world to seriously consider their platform. One important advantage for token holders is that they are eligible for a share of the commission taken on any “game tickets” sales. 10% of all ticket sales go towards partners and token holders and this allows long-term holders to accrue a sort of dividends against their tokens. In terms of risks, Truegame is entering into a highly competitive market and are at risks of regulations on two sides. The gambling industry is highly vulnerable to new regulations and the legal status of cryptocurrency and ICOs are still uncertain. China recently took steps in order to completely ban cryptocurrency and despite the soft-touch regulations in Switzerland and Singapore there is no guarantee that other nations won’t take a harsh stance against ICOs and cryptocurrencies in general. Despite the risks involved in the gambling sector Truegame have a well designed proven platform and if they are able to correctly leverage their marketing strategy are already well placed to succeed.